Julie Mehretu’s print, Unclosed, from her 2007 project at Crown Point press, has an allover pattern of fine radiating lines in shifting color that changes across the print. How was this aspect of the print achieved? Julie Mehretu, Unclosed, 2007. Color hard ground etching with spit bite aquatint and drypoint. Mehretu created the radiating lines in hard ground etching. 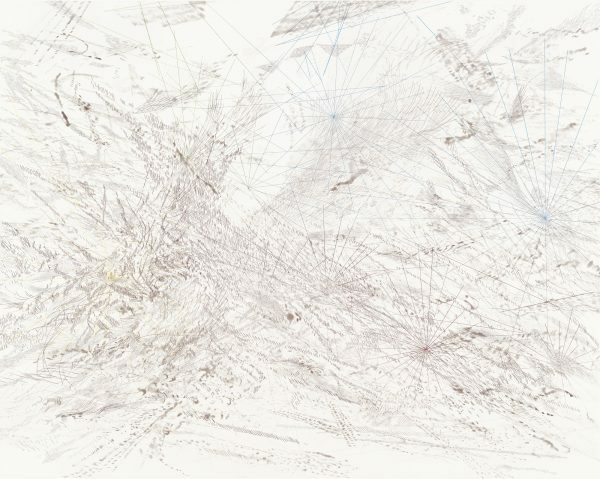 Mehretu wanted the lines to have a certain kind of color. “The idea was to create a modulation of four colors that blend to create a multitude of colors on one plate,” Catherine Brooks, the project’s lead printer, said. She explained that this practice is called “à la poupée,” which means printing many colors from a single plate. 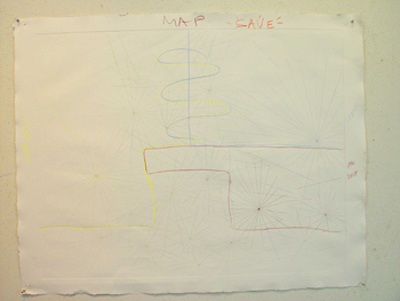 Brooks created a map to locate the colors Mehretu imagined within the starburst pattern on one plate. The map marks off the initial placement of the inks. 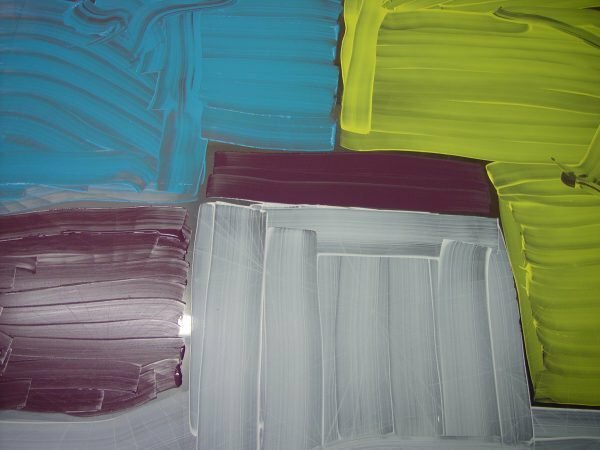 The video below shows how the colors are blended with tarlatan, and then hand wiped. Watch the glancing motion of the hand as the plate is being wiped. When wiping a hard ground line it’s important to wipe perpendicular to the line, so you don’t wipe the ink out of the line. You can see the color hard ground plate being printed first. See how the blue radiating lines stare out at you under the marks printed from second plate. You can see the color hard ground plate being printed first. See how the blue radiating lines stare out at you under the marks printed from second plate. Mehretu’s process is (and metaphorically refers to) layering and excavation, building and obliteration. The way she works in etching provides a unique window on her thinking, as well as an image that could not come about any other way. Master printer Catherine Brooks inks and wipes Julie Mehretu’s “Unclosed” at Crown Point Press in San Francisco.